Have you ever heard of Rocksbox? If you have you know how cool it is, if you haven’t then let me tell you! Rocksbox is a jewelry subscription box that delivers three pieces of designer jewelry to your door for $21 a month! You get to wear all three pieces and return them, OR if you absolutely love one, two, or all three pieces you can buy them. This is my first box and I already purchased one of the items… it was just too perfect to pass up! What I love about this subscription is that fact that you are technically renting your jewelry. I like trying new accessories but I often end up with a lot of pieces I bought for a specific event and then don’t wear for a really long time. With Rocksbox I get to have new pieces all the time and not worry about buying them full price and leaving them to collect dust. If during the month of my box I have a piece I have worn multiple times and can see myself wearing it even more, then I can buy it. It is like testing out your accessories before buying committing. It is the Colette Necklace by Perry Street and it is absolutely beautiful! I have worn it three times already and I already can’t wait to wear it again. It is just so sparkly. The earrings I received are called the Vivienne Ear Climbers by Gorjana. I have never tried ear climbers before but they are so cool! These ones were fun yet still dainty. It is a different way to wear fun earrings without having to wear dangly ones. Lastly I got a bracelet by Kendra Scott called the Laura Pinch Bracelet in Turquoise Magnesite. I love this style of bracelet because one they are dainty and you can layer them, and two, you can adjust this type of cuff which is great when you have thin wrists like I do. If you love accessories or you want to get into wearing them, this is a great subscription box for anyone. I cannot wait to see what comes in my next set! When you sign up you add at least 30 items to your wish list, then your assigned stylist will choose items for your from you list. I was so excited and there were so many cute pieces that I added 160 to my wish list when I first signed up… Before your set is ready to ship out you get the chance to preview it and change out one item if you want, or you can just be surprised and see it when it comes in. 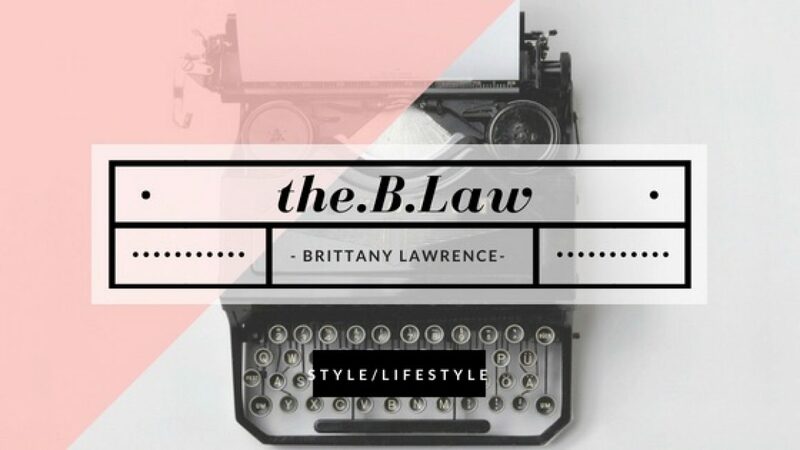 If you want to give it a try use my code “theblawxoxo” to get your first month free! My sister already signed up and ended up buying the same necklace as me because she saw me wearing it Check out Rocksbox here!